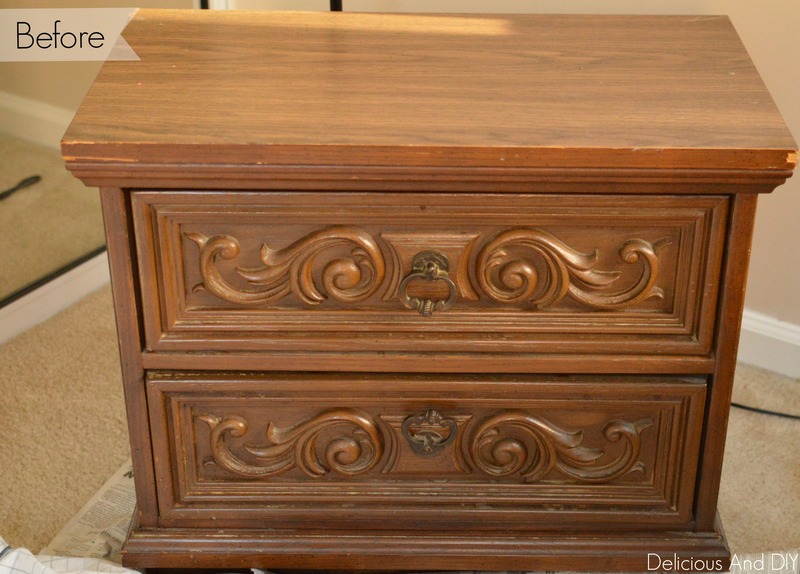 This little beauty was rescued during one of our many Craigslist furniture hunting trips. Remember this little Wood Pillar that I found hidden away in the corner, well just like that I stumbled on this table from the same place and we ended up getting it. Like the Wood Pillar I had no intention of buying this table. We specifically went to get just one table and ended up with two more pieces. 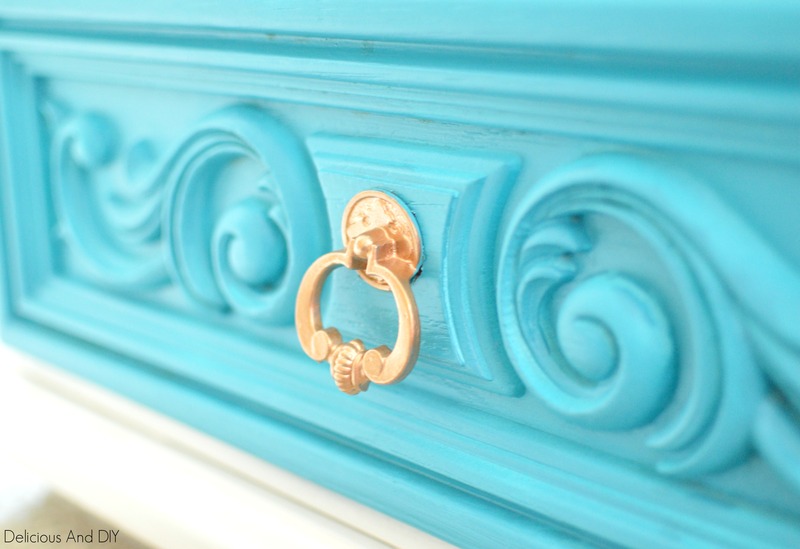 What made me want it was the same exact reason I got the pillar, those swirly curly carvings on the drawers. Plus it was in such a good shape I just had to have it. So behold the before you guys. It just had a few little scratches here and there but overall it was in a pretty good condition. I had planned on painting it in a grey and purple combination but ended up doing something completely different like always. This time around I didn’t use my paintbrush for painting this table since those details on the drawers would have taken me forever. 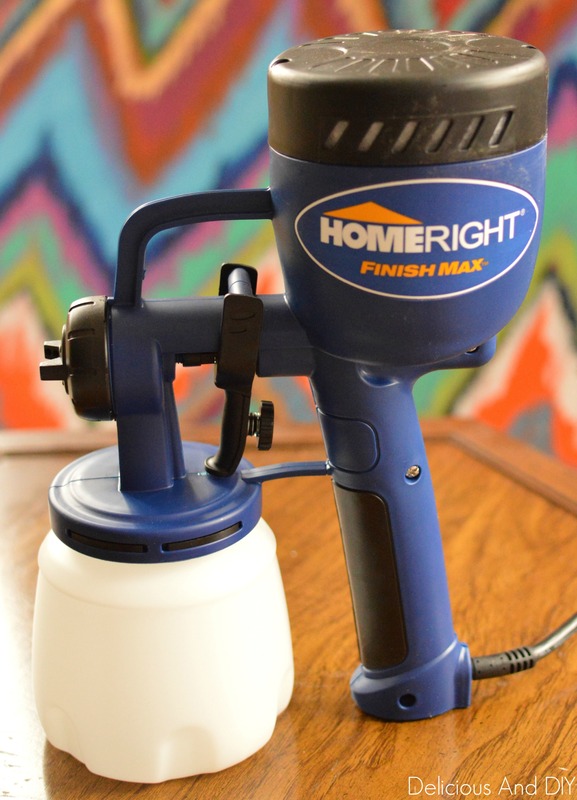 So I used my HomeRight Finish Max Sprayer and it basically is a lifesaver. Under Ten Minutes my table was done. 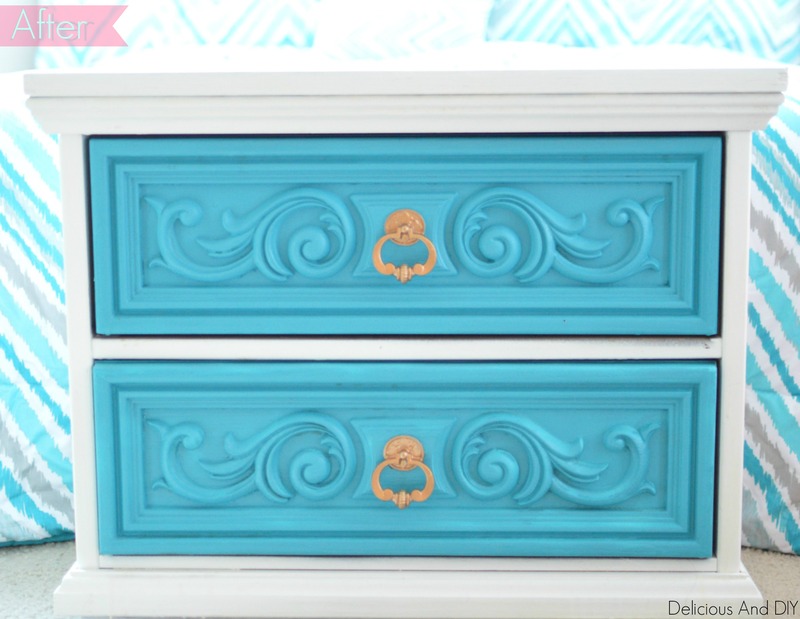 I used Behr Premium Plus in Semi Gloss Enamel and sprayed about three coats of white on the table and for the drawers I used a Cool Blue color in Matte and sprayed Two coats. For the handles of the drawer I went in with my Martha Stewarts Liquid Gold Gilding to brighten up those dull drawer pulls. I used a really thin paintbrush and carefully painted around the handles without the need of detaching it from the drawers.When the paint was dry I sprayed three coats of Polycrylic Protective Finish on top to seal everything in and there you have it. Great Job! You definitely transformed that piece! Love the colors you used…I love turquise 🙂 I would love to have the Homeright Max, I’m sure It makes quick work of projects! Love each and every piece, so creative and unique! No way! I have the same exact nightstand. Only mine isn’t thrifted, it’s inherited. I have the whole set. I’ve been itching to paint it, but I’m afraid to try. So excited to see the possibilities! Oh wow what a coincidence 🙂 Do share what you end up doing with it. Thanks for dropping by Heidi! Great job! 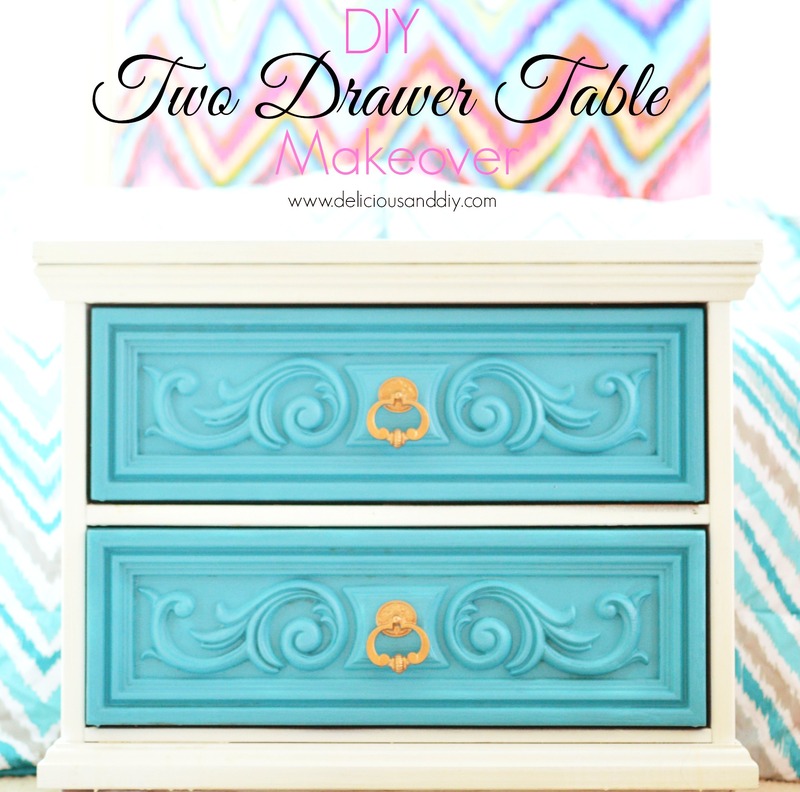 I see those old dressers and nightstands everywhere. Now I know what to do with them! Thanks so much for linking up with us on Idea Box link party. Can’t wait to see what you bring our way this week! 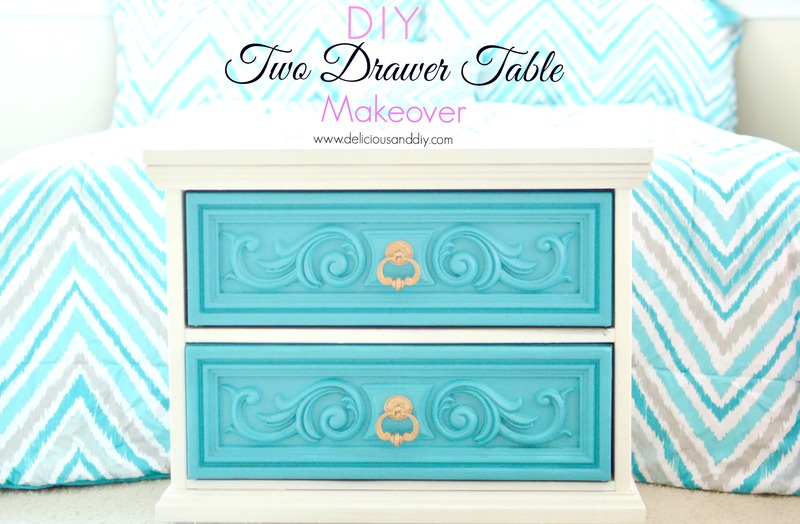 Saw the feature on DIY Dreamer and you did an amazing transformation!! Oh wow ! I can totally relate to that feeling . I really like mine it gets the job done in no time . Even if I don’t like the color I always know I can change it withing minutes. I posted another Coffe table makeover where I used the sprayed do check that out and see the results. Thanks for dropping by. Amazing! I love it! I would love it if you joined and contribute your awesome posts at my link party at City of Creative Dreams, starts on Fridays at 9AM eastern time and runs until Wednesday night. 😀 Hope to see you there at City of Creative Dreams Link Party.